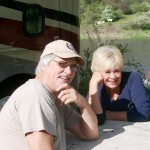 You are here: Home / Blog / ATV Rides / What’s Unique About ATV Riders? What’s Unique About ATV Riders? Awesome! Terrific! 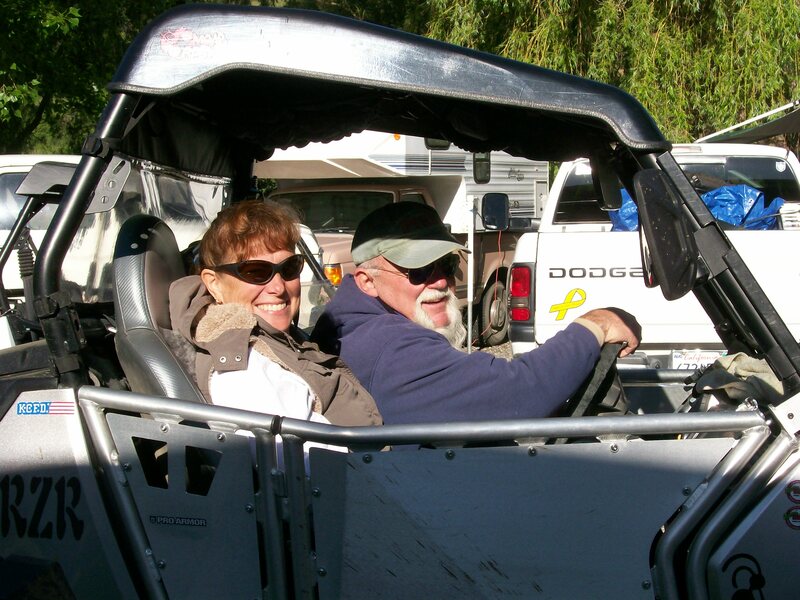 All-terrain vehicle (ATV) owners have a blast and just might have more fun then anyone! 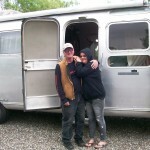 They get such a kick out of their rigs, their gear and ‘stuff’, as well as each other. 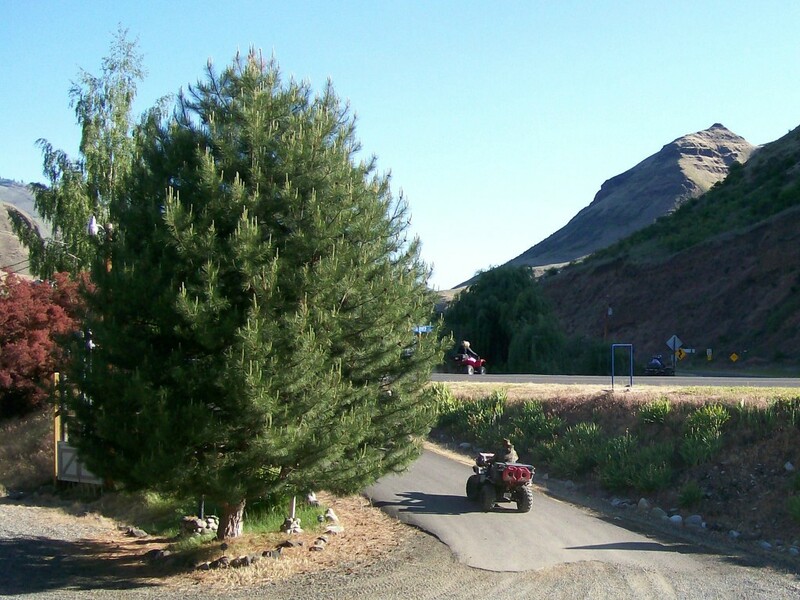 Here at the Swiftwater RV Park, we love our ATV guests and we can’t wait for this year’s 5th Annual Hells Canyon ATV Ride to take place over Memorial Day weekend, May 23 – 26th! In Idaho, it’s pretty simple to ride an ATV. Simply ensure its properly titled and registered, and naturally, it should be mechanically sound. If you’re under 18, Idaho state law requires the use of a helmet. After you’ve got that squared away, then hop on and go for a ride direct from Swiftwater RV Park! 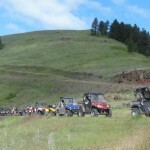 The 5th Annual Hells Canyon ATV Ride takes place May 23 – 26th and includes 3 different rides which are each offered for the 3 days of Sat through Monday. Are you ready? 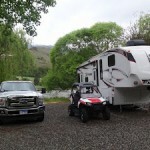 The weekend is loads of fun and Swiftwater RV Park on the Salmon River becomes an ATV campground! After leaving our driveway and crossing the Salmon River on the Silver Bridge, you’re heading west and will be riding on paved roads in either the Deer Creek or Doumecq Road Districts. Get ready for spectacular views – especially the higher in elevation you travel. There won’t be much other vehicle traffic, though an occasional rancher’s rig or resident’s vehicle might pass you by. Climbing up, the views become immense and the chance of seeing wildlife – deer, turkeys, an occasional grouse and who knows what else – increase with every mile. Big smiles, grins and happiness at being in your rig, riding in the open air with a little sunshine overhead and knowing you have a full day ahead of outdoor fun explains it all! Ride safe and come back often! 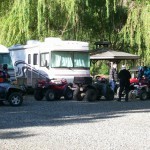 If you want to read other articles about ATV riding in central Idaho, click here. Getting ready for a ride!